WASHINGTON (AP) -- NASA, the agency that epitomized the "Right Stuff," seems lost in space and doesn't have a clear sense of where it is going, an independent panel of science and engineering experts said in a stinging report Wednesday. The one place the White House wants to send astronauts — an asteroid — doesn't seem to be getting the engines firing at NASA, they said. "More than two years after the president announced the interim goal of sending humans to an asteroid by 2025, there has been little effort to initiate such a mission," said the report by a panel of the distinguished National Academy of Sciences. In another withering passage, the panel said NASA's mission and vision statements are so vague and "generic" that they "could apply to almost any government research and development agency, omitting even the words 'aeronautics' or 'space.'" The report doesn't blame the space agency; it faults President Barack Obama, Congress and the nation for not giving NASA better direction. The space shuttles were retired in 2011 and are now museum pieces. 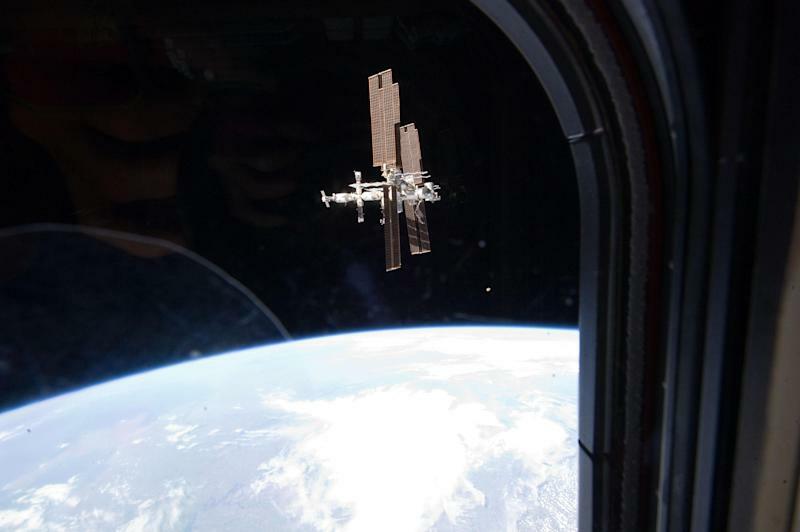 Few people are paying attention to the International Space Station, and American astronauts have to rely on Russian spaceships to get there and back. Meanwhile, rocket-building is being outsourced to private companies, and a commercial venture plans to send people to the moon by the end of the decade. Academy panel member Bob Crippen, a retired NASA manager and astronaut who piloted the first space shuttle mission, said he has never seen the space agency so adrift. He said that includes the decade between the end of the Apollo moon landings in the early 1970s and the beginning of the shuttle program. "I think people (at NASA) want to be focused a little more and know where they are going," Crippen told The Associated Press. NASA spokesman David Weaver defended the agency, saying in an emailed statement that it has clear and challenging goals. He listed several projects, including continued use of the International Space Station and efforts to develop a heavy-duty rocket and crew capsule capable of taking astronauts into deep space. White House spokesman Matt Lehrich said he had nothing to add beyond NASA's comments. Wednesday's report came the same day astronaut Scott Kelly, brother-in-law to former Rep. Gabrielle Giffords, talked about the difficulties of spending a U.S. record-breaking year in orbit aboard the space station starting in 2015. On Tuesday, just ahead of the report, NASA announced plans for a new Mars rover in 2020 in a sequel to the successful Curiosity mission. John Logsdon, a space policy expert who advised the Obama campaign in 2008, said the panel's report, which is more strongly worded than usual for the academy, "rather fairly points its fingers at the White House." "There's a general sense of disappointment that the administration has not been more bold and visionary in setting out a path for the program," said Logsdon, who was not on the panel. Obama told the space agency in 2010 to plan to send astronauts to an asteroid by 2025 as a training ground for an eventual Mars landing. But the 80-page panel report and its authors said there is little support for that idea within NASA and the international space community. The agency hasn't done much to determine an asteroid target, and its strategic plan avoids mention of an asteroid mission, the report said. Also, panel members said NASA hasn't allocated much money for it. Crippen said an asteroid mission just doesn't make sense technically or politically and may just be too tough. "I hate to use the word credible, but people don't buy it," said academy panel member Marcia Smith, president of Space and Technology Policy Group. "They don't feel that the asteroid mission is the right one." The reason people aren't buying it is that they don't see money budgeted for it and don't see the choice of target, said panel chairman Albert Carnesale, former chancellor of the University of California, Los Angeles. Inside NASA, "people were wondering: What are we doing to actually accomplish this?" Carnesale said at a news conference. After the 2003 shuttle Columbia accident, the independent board investigating what wrong said NASA needed a bigger long-term plan for human exploration. Then-President George W. Bush announced that the shuttle would be retired and that NASA's new goal would be to return astronauts to the moon with a permanent base there as a stepping stone to Mars. When Obama took office, he appointed an outside committee that said the moon plan wasn't workable. The committee offered several options, including an asteroid mission as a possible stepping stone to Mars. Obama chose that path. Syracuse University public policy professor W. Henry Lambright, who wasn't part of the latest study but has written about space policy, said Obama has not sold NASA, Congress or the country on his plan. "I really think it's Obama's fault," Lambright said. NASA "is suffering from benign neglect." American University policy professor Howard McCurdy, who also wasn't on the panel, said he sees the problem more as a lack of money than a lack of goals. The report said NASA does not have enough money for its too many projects and has difficulty managing its 10 centers efficiently. In his statement, NASA's Weaver said: "We're fully utilizing the International Space Station; developing a heavy-lift rocket and multi-purpose crew vehicle capable of taking American astronauts into deep space; facilitating development of commercial capabilities for cargo and crew transport to low Earth orbit; expanding our technological capabilities for the human and robotic missions of today and tomorrow; pursuing a robust portfolio of science missions such as the James Webb Space Telescope; developing faster and cleaner aircraft and inspiring the next generation of exploration leaders." Smith said that statement itself shows the problem: "If it takes you that many phrases to explain it, then you do not have a crisp, clear strategic vision."